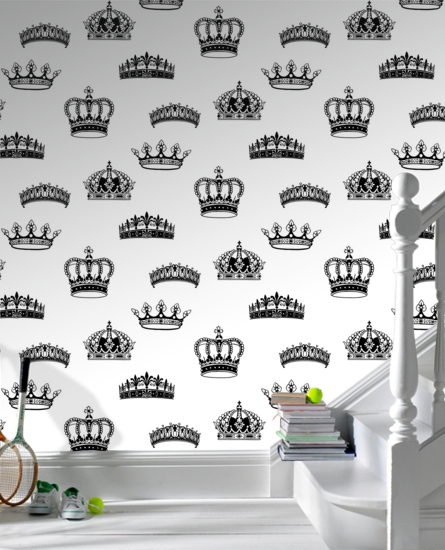 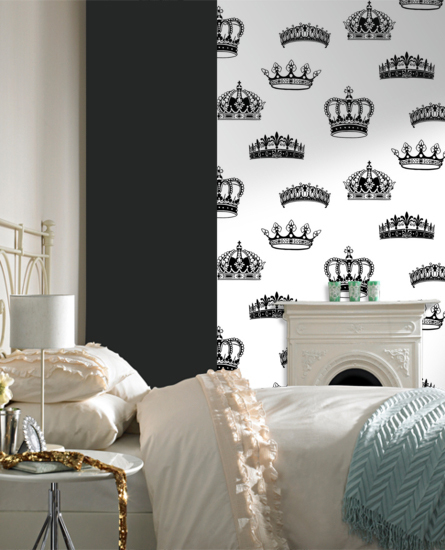 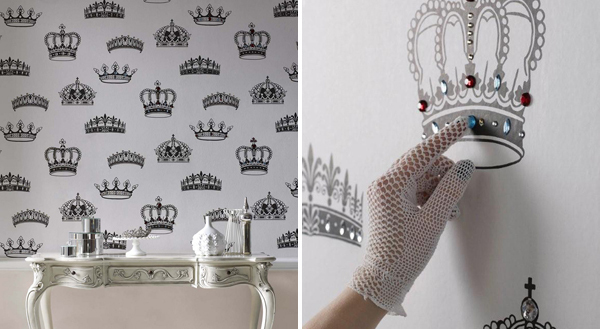 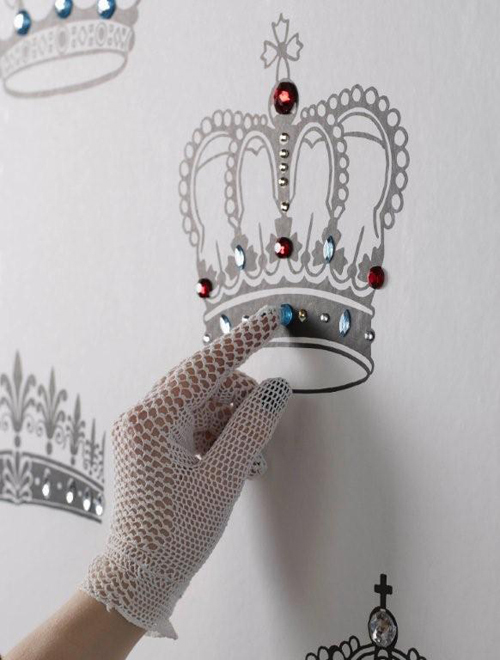 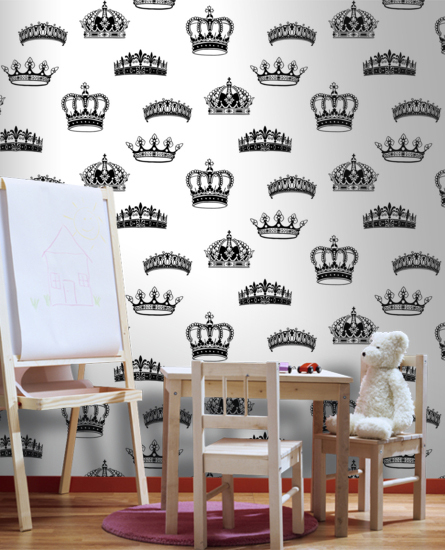 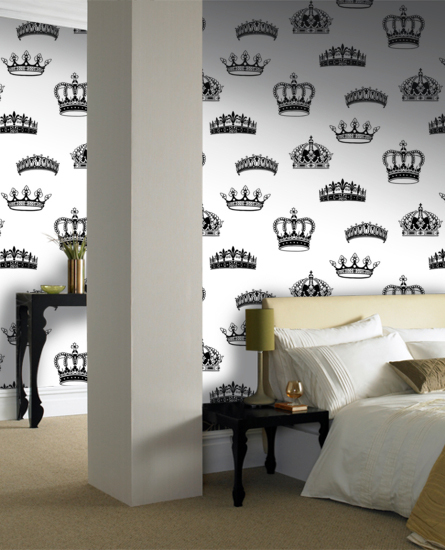 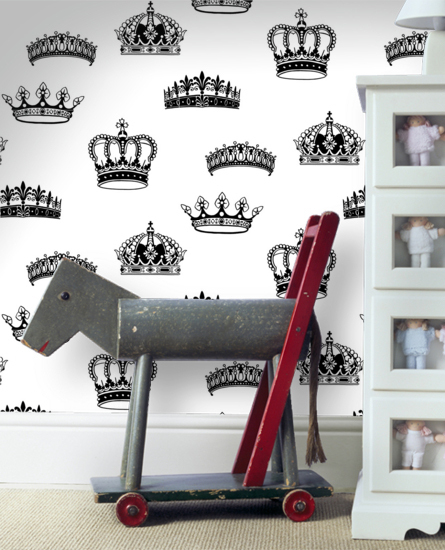 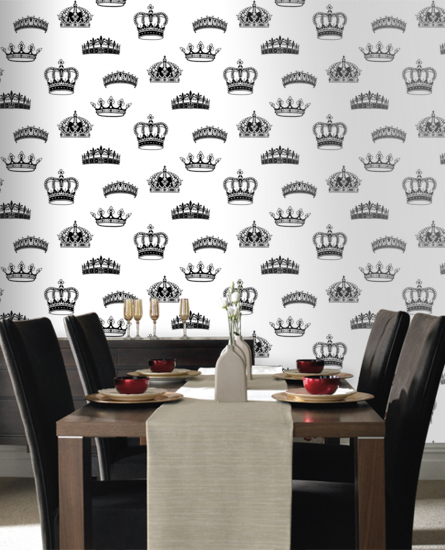 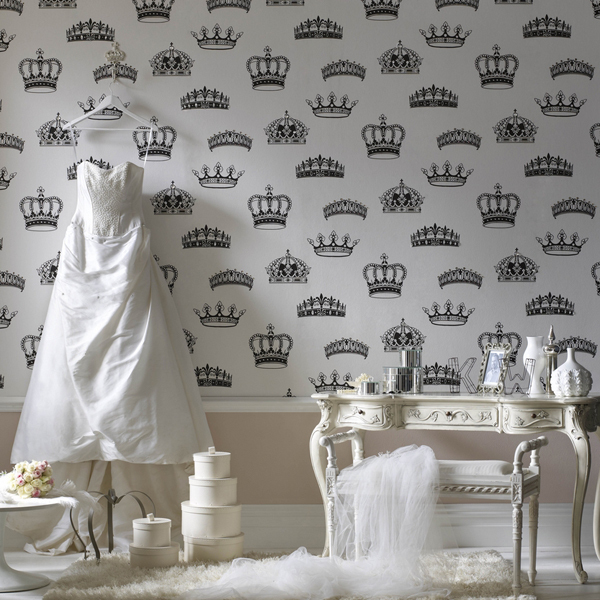 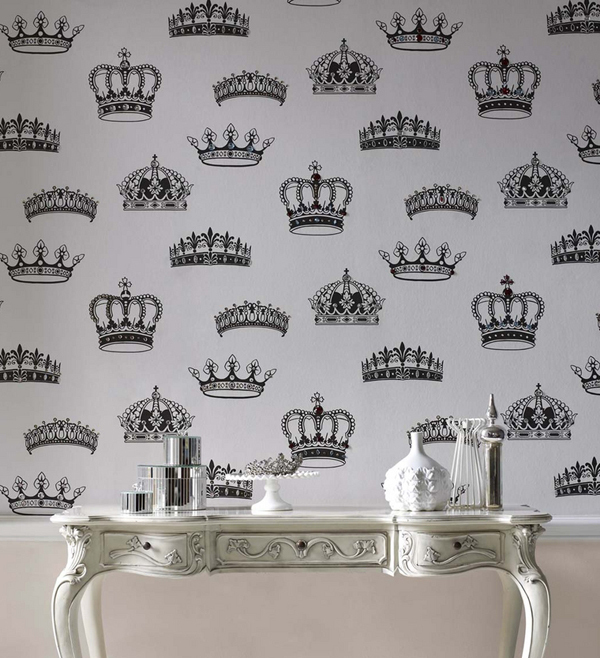 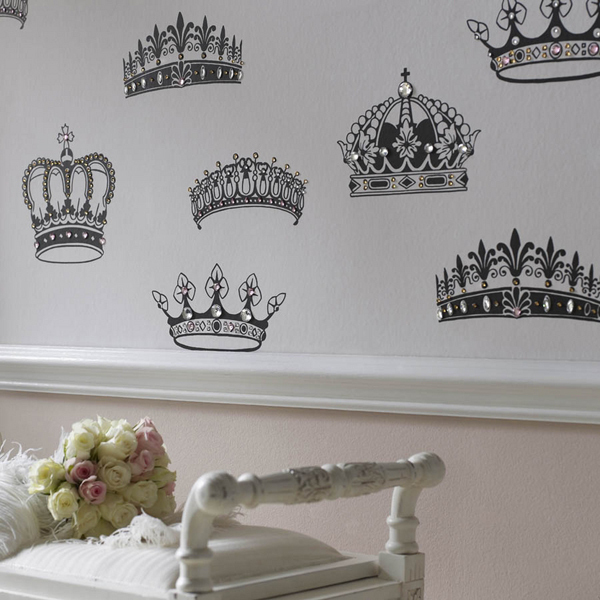 This bold black and white wallpaper collection "Crowns and Coronets" created by UK-based company Graham & Brown was inspired by the highly anticipated royal wedding. 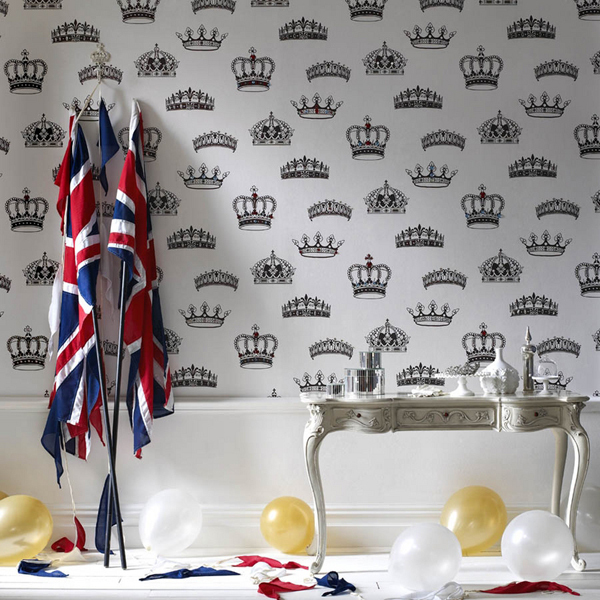 "In celebration of the forthcoming Royal Wedding Graham & Brown are proud to present Crowns and Coronets featuring a right Royal riot of regalia. 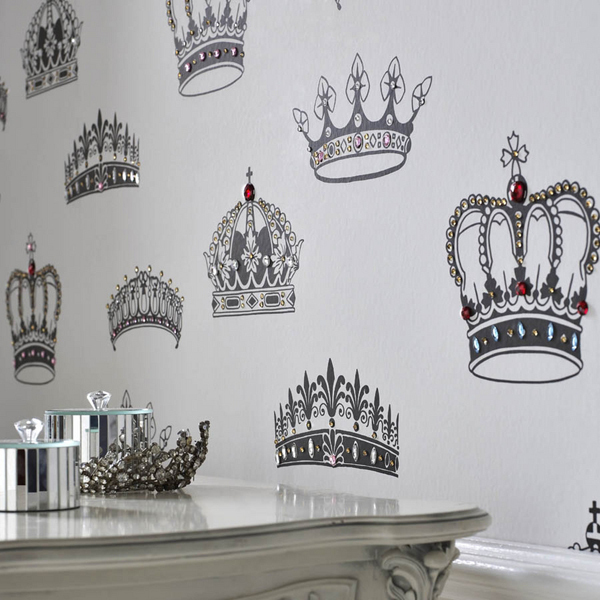 Designed to be fully interactive so you can get creative and Jazz it up with our ‘Royal’ Jewels – glittering self adhesive jewels that allow you to create your very own tribute to the happy couple."